IF there were to be a new Z game, what would you want in it? Please share what your favourite features from Z and Z Steel Soldiers were. What did you like the most about the games and what do you think made them more unique? What elements do you think a potential Z sequel should borrow from other RTS games? How would you imagine a new Z game looking and feeling? What would the setting be, who would the characters be, what new units, vehicles, buildings, and locations would you add? I love the humour in Z. The cuts scenes are great. I'd love Z3 to have the same game play as Z with the same graphics but in 3D. Skirmish mode and a level editor so that gamers can share their maps with everyone. That would make the game last longer. Humor! Half of the fun are all those funny mishabs and sayings of the bots, rocket fuel for beer, cutscenes, etc. The voice actors did an excellent job. Just compare that to the poor dubbing in ZSS. ZSS changed nearly all of that and that was a mistake. A specific no-go I would give the 3D multiangle view, more vehicle/bot/building types, aircrafts. i think 2d view reach its peak through z. it only needs minor improvements and some extra stuff. so its got to be 3d like z ss but with already placed factories like z. the map has to be very easy to understand but with 3d view rotation its got to rotaτe simultaneously. so its got to have a highlighted certain point (fe the fort) so you can have easy and fast οrientation. ofcourse it has to have a nontransparent option at color territories. another thing today's technology can easily manage is that the robots especially, has to be recognizable even in the last zoom out view with distinctive graphics and names on them like z. the building's clocks must be visible at all rotations without clicking on them. no fog of war, because you just dont have the time to scan, only attack. so its like z but 3d means even more challenging so no airplanes and ships. its getting too complicated and its againt z philosophy. you spent to much time preparing a defence instead of attacking. APC's with the abillity to carry soldiers in the sea its good enough imo. ZSS remake you did was great but if we look at the big picture, everybody admits that ZSS was a mistake direction to go from original Z. Making a new remake would be returning back to original Z. Similar way like Mortal Kombat recently did. People dont need yet another world in conflict style game with full 3D and massic explosions. ZSS removed all the humor from the gameplay bringing boring serious tones in the game. There is no shooting at penguins anymore or reading newspapers/fishing when idle. That looked like unnecessary time waste to develop but it killed the spirit. Get rid of the aircrafts, ships, intergallactic missles, long range howitzers that fire on 2 map distance. all that is impossible to balance well and micromanage and it just kills the strategy forcing you to produce more and more and then rush with 100 planes instead of thinking of the tactics. Return units micromanagement: manuvers of the tanks/jeeps when fighting (not just standing still but avoiding bullets), killing the driver with snipers, flying turrets when destroyed from the tanks. all those small fun things make the difference. See Company of heroes who basically stole Z idea but put it into WW2 environment. Playing 1 unit is no fun, the robots must be in squads like in original Z. Growing from stupid to smart AI as they progress. all original 30 maps can be converted into a new sequel game as single play+skirmish and several multiplayer maps. 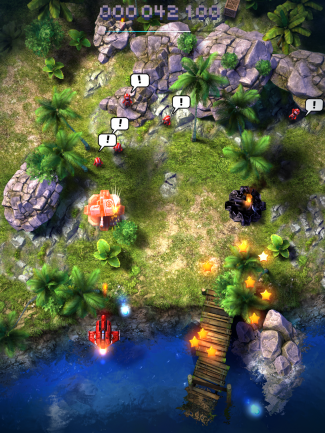 Strategy game is a tough sell in 2015. You need to be creative to sell it. I would suggest some of the extra units could be bought/upgraded in the ingame shop or some customization or extra missions for extra pay. The reality is that freemium model sells. P.S. When we were developing sequel we failed because we took too much of a scope trying to make a full 3D game with high fi graphics.. So instead of developing a game we spent all the time developing realistic shaders for the ocean water, night lights from the vehicles and stuff like that. anyways if you need any help consulting let me know i spent years developing and thinking over the sequel. I work in different niche now so we dont really develop games anymore but i remember the ideas well. yes i agree it can be pseudo 3d like total anihilation. then its like z with the import of changing range due to different altitudes. that can give a lot to the tactics. if you go one step at a time thats the right step beyond z to go! i'd only add apc that may carry soldiers in deep waters (if its pseudo 3d at land it must be at sea too. maybe some deep blue sea area that cannot crossed by soldiers without apc).